Though I haven't mentioned this until now, for the last few weeks our little house has been in quite a state of chaos. Back around mid-February the laundry room drain pipe broke leaving us with no clothes-washing facilities here at home. The media room, which is on the main floor below the laundry room (yes, I know that's a stupid place for it, but I didn't design the house), had to have it's walls torn apart in order to fix the pipe. That in itself is disruptive, but this particular room has oak-panelled walls, much more complicated than drywall. Not only did the wall where the pipe was located have to come down (in very carefully labelled pieces), but the wall beside it (where some insulation was damaged) also had to come down. AND, in order to get parts of that wall down, parts of a third wall also had to be removed (this had to do with the panels and trim that all fit together much like a puzzle). It felt like the work would never be done. To top all of this off, of course, it was during one of the worst cold spells I can ever remember and every member of the household slowly fell ill with a nasty bout of flu. I'm sure that between the many trips to the laundromat and all the workmen that passed through the house, I succeeded in letting loose that awful flu bug on an unsuspecting city. I really missed having a washing machine. It felt like the house would never be clean. Of course, all the work is done now, and so is all the laundry. During all this, I knit this. I tried to think warm thoughts of summer in an effort to hasten spring. 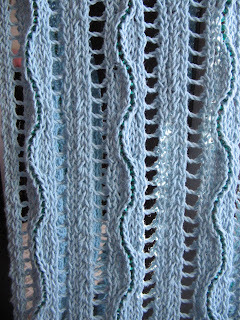 Knit from a cotton linen blend called Camilla ordered from Elann, I chose a lovely soft blue. So clean and fresh looking. 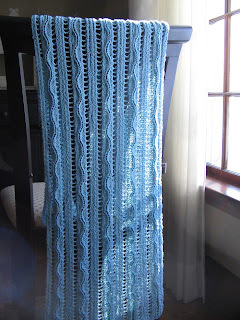 It's knit with a ton, or there abouts, of glass beads. This wrap should be very cold to the touch come summer. Though this last project was fairly easy, once I'd memorised the pattern repeat, I wanted to start something more brainless for my next project. Yup, I'm knitting socks. Now, my knitting friends know how much I hate knitted socks, how I roll my eyes every time someone says "look at this great new sock pattern", or "I bought the most gorgeous sock yarn". To me it seems that everyone on Earth is knitting a pair of socks, and I get completely sick of listening to it all. At first, three or four years ago, I was seduced by all the new and interesting sock yarns on the market and I started to knit a few - a few pairs. I bought lots of sock yarn, it all seemed so appealing, until I realised that I don't find hand-knit socks all that comfortable. They bunch, they slip, they never fit right. Maybe it's my feet, but I can't stand hand-knit socks. I was never going to knit another pair of socks, never. About two years ago I gave away all the sock yarn in my yarn stash. Well, all except for two. This lovely pink/purple/red combo and some very nice teal-blue. 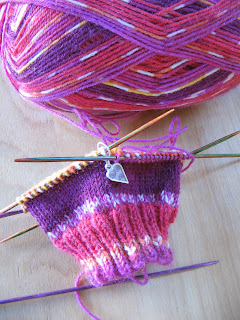 love the knitting:) what make is the gorgeous sock yarn? The sock yarn is Lana Grossa "Meilenweit Magico" Lot no. 2524 Colour no. 65417. I bought this yarn quite a while back and don't know if it's still being produced, but the colours are great fun. 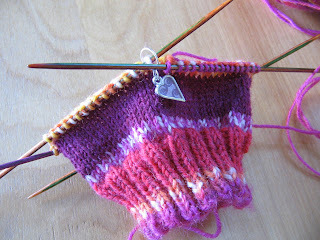 By the way, I love watching all the socks materialising on your blog. You're so fast, it's like magic! 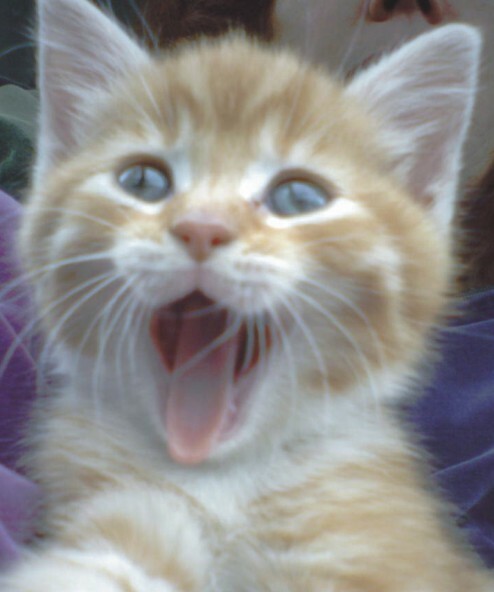 I love your scarf.It looks like the tubey style, the color is nice too.